Shopventory's inventory reports show a snapshot of what your inventory is (or was) at any given time. As long as Shopventory was installed at the moment, we can tell you exactly what you had on the shelves! 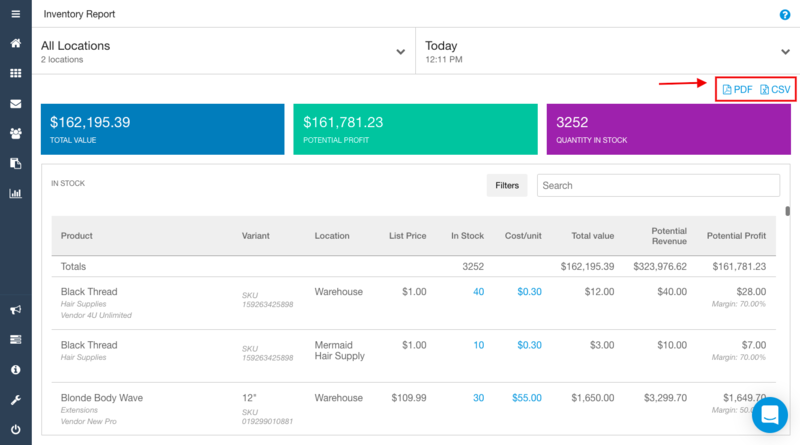 The Inventory Report will also show your total value of inventory (current or historic). This means you know your total cost of inventory in seconds. 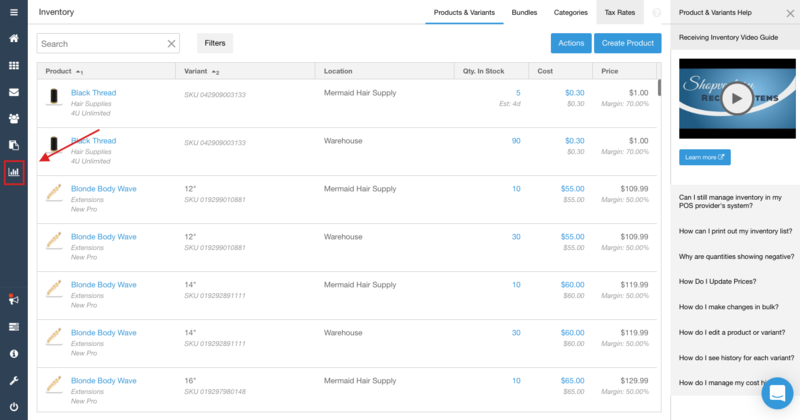 Products or services with quantity tracking "Disabled" will not be included on the inventory report. Since Bundles do not contribute uniquely to inventory value, these are excluded as well. Products with negative quantities in stock do not count against inventory value. 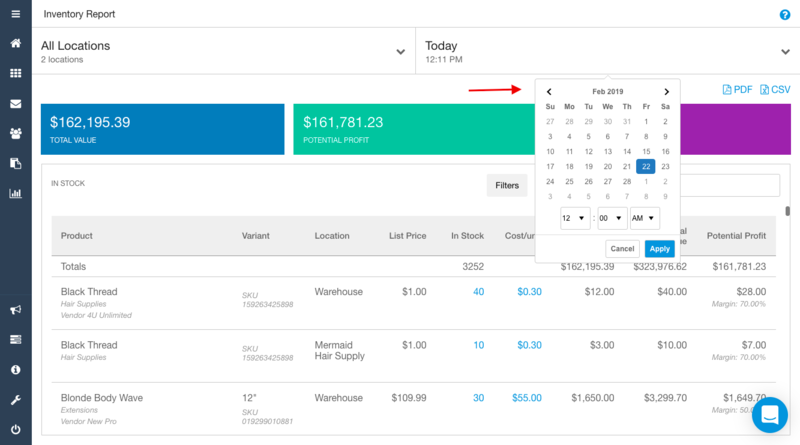 To view your Inventory Reports, simply go to the Reports section in Shopventory and click on the Inventory Report option. You can customize the date and time of the snapshot in the upper right-hand menu. Make sure your Timezone Settings are correct. Reports can be filtered by Location. Reports can also be filtered by Category. The search box can be used to filter by keyword. Pro-Tip: Use the Keyword Filter to search for specific Variants or Product groups.